It’s Hall 1 again for DIVE 2019! 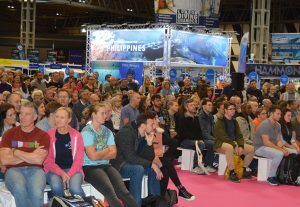 THE MOVE INTO Hall 1 at the NEC for last year’s Dive Show proved popular with both exhibitors and the 15,000-plus visitors who turned up over two days for the premiere event in the UK diving calendar. Impressive internal and external enhancements to the nation’s top events venue were also extremely well received, and Hall 1’s location just inside the NEC Main Entrance was a welcome bonus. 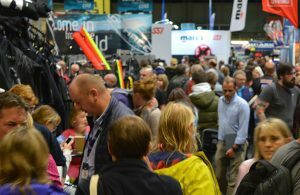 So with the NEC in greater demand than ever from organisers large and small wishing to enjoy the best profile for their events, the Dive Show is delighted to have secured prime weekend dates of 26/27 October for DIVE 2019. 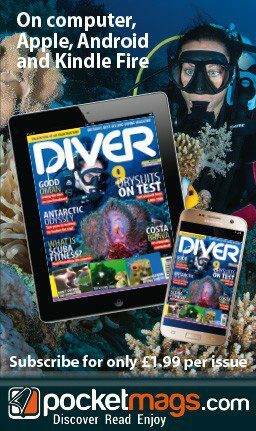 As previously, the 2019 Dive Show will be spread across a single large hall, making for excellent positions for in-hall features – as well as for the many exhibitor stands, large and small. Meanwhile, building on the outstanding success of the move to the NEC VOX auditorium for its 2017 event, the BSAC will be back at the VOX for its 2019 Diving Conference. Having run alongside the NEC Dive Show for five successive years, the BSAC Conference had grown steadily. But the 2017 move to the NEC’s new ultra-modern Vox Conference Centre, a short walk from the Dive Show hall, represented a step-change for the event. Deemed “a roaring success”, with an impressive speaker line-up and expanded range of break-out sessions, the conference saw a big increase in delegate numbers. 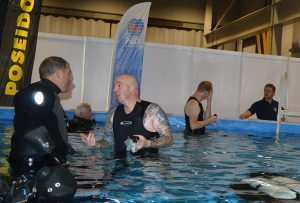 It attracted more than 800 of the Club’s most experienced and committed divers – all of whom had free weekend access to the Dive Show hall. The BSAC is now expecting to build on this, with an even bigger and better event this October.